“I think you guys remember it happened before, about a month ago – they call it “the white screen of death” – a problem with the screen/phone of a Blackberry, and online cellphone forums are full of folks trying to get help with how to fix it (without taking it to a cellphone shop), or with folks saying what worked for them and others saying they tried that and it didn’t work. Anyway, so yesterday morning, after hitting “snooze” a few times on my blackberry, I got up. Then heard two x whatsapp messages come through, and noticed “the white screen of death” and my heart sank, but at the same time I remembered that at the end of the day that the last time this happened, we connected the phone to the blackberry desktop manager to try sort it, didn’t actually click anything on the desktop manager, or don’t know what we clicked, but a few minutes after disconnecting from the desktop manager, the phone miraculously came right. So tried that again, even though we don’t remember what it was we did last time. My sons are away at university – my older son busy with his second year in Stellenbosch, and my younger son doing his first year in Cape Town. I miss them, and don’t use whatsapp much at all generally, but do use whatsapp for keeping in touch with my sons. 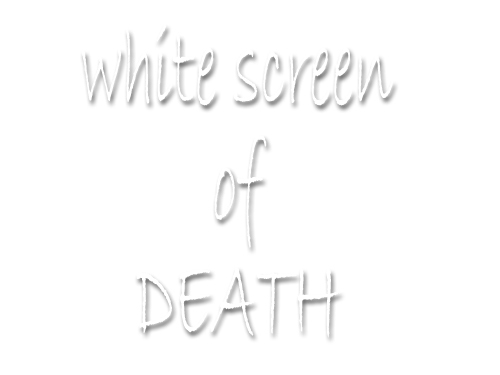 I was frustrated because I could not access the two whatsapp messages I’d heard come through – I couldn’t access anything at all, all I could do was stare at the white screen of death. And, currently, when I put my sim and battery back into the Blackberry, all I’m still seeing is that horrible white screen of death. I put my usual mtn sim into an old inexpensive Nokia – just for calls and smss – and called my younger son. It wasn’t him who’d sent either of the two whatsapp messages I’d heard come through on my Blackberry. I used my tablet (and a cell c sim with a different number to my usual number) to whatsapp my older son. I wasn’t sure if he was in class already or if he’d remembered to put his phone off (he moaned once when I phoned while he was in class! I told him he should have put his phone off!) I also whatsapped my younger son so that he’d have the number. My whatsapp messages to my sons were for informing them to use that number for whatsapping, until further notice, and to still use my usual number for calls and smss. But neither of these two whatsapp messages even left the tablet, let alone arrived at my sons’ phones. Checked the airtime and it was finished. Luckily we had a R25 cell c voucher and we loaded that to the phone. I say luckily because we were at home for two days, not too close to any shops. Oh, did I mention (no I didn’t yet) that before I could use the Nokia (usual mtn sim and number in the Nokia rather than in the white screen of death Blackberry – stay with me here, folks!) or the tablet (for whatsapping with a different number and a cell c sim), that both these devices needed to have their batteries charged? Well, they did. Anyway, we put that R25 in. And sent those messages again, even though it now looked like the first two had actually gone now that money had been added to the tablet. And the two new messages went, no problem. Later in the day – early evening yesterday – I wanted to whatsapp my sons again to ask how their day had gone, and did (whatsapp them) but the messages did not leave the tablet. Checked airtime again and it was all gone! Just 4 whatsapp messages earlier had cost R25? I couldn’t believe it. Then Tony checked some things out on the tablet and saw that it had automatically updated some apps, using up all the airtime we’d put in (other than 4 whatsapp messages’ worth). And I don’t like using the Nokia for calls or smss. I just want my Blackberry working again! – without having to take it to a cellphone shop to get it sorted out there. There must be something we can do to get rid of that horrible white screen of death on our own and get my Blackberry working again. If you, dear reader, have an idea of how to get rid of this white screen of death and get it working again, please leave the instructions in the comments area, thank you! Anyway, thank goodness for my pc and available for the whole month Internet access via a wingle – I could email my sons – and could also pop onto Facebook asking a possible 4 others if they’d sent me the whatsapp messages that I’d only heard come in and not been able to access and see – because I was horribly blocked off from being able to do so due to that horrible white — screen — of — death! Love and miss u guys so much.